The relationship between the people and big business has always been adversarial, to say the least. In the District, the case is no different. Swarms of people who call themselves ‘the 99 percent’ gather in McPherson Square and Freedom Plaza representing those who are unemployed and impoverished in the District and beyond. A small business owner who runs a small dry cleaner on 3rd St. and Missouri Ave. NW looks helplessly as his base of customers deteriorates. He fears an increase of taxes and abolition of what he has come to revere in the U.S. capitalistic society. All this happens while the Wal-Mart Corporation goes blow for blow with city leaders who oppose city wide construction of six stores in the District – two of them east of the Anacostia River. Understanding the mechanics of the people vs. big business takes nothing more than looking at this specific case. Wal- Mart is a multinational corporation that runs 8,500 chains of large discount stores in 55 countries. It is the hugest retailer and private employer in the world with approximately 2 million employees, according to The Economist. Its operations specialize in nine retail formats including food and drugs, apparel, restaurants, and small merchandise. Despite its success, critics have accused Wal-Mart of overshadowing small business and destroying the local economy. In additions, they have scrutinized employment practices levying accusations of egregious work hours,employee harassment, and low pay. In the makings of a true David vs. Goliath story, local groups stood in protest when news of the eventual construction broke. 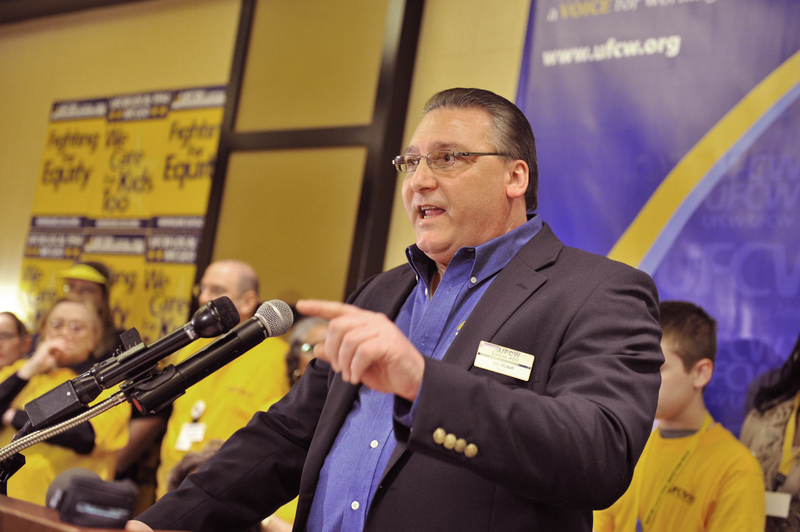 Union leaders like Thomas P. McNutt, president of Local 400 of the United Food and Commercial Workers did not believe Wal- Mart’s promise of healthy wages, calling them ‘wolves and sheep’s clothing,’ according to the Washington Post. Jobs with Justice, an organization that represents employees in working class neighborhoods, has organized protests with local unions in the last few months. Members of the city council as well as Mayor Gray have expressed “cautious optimism” for the plan, but support it more and more with the promise of 1,800 new jobs, fresh groceries in undeserved communities, and $15 million in annual sales tax. Recent developments in the negotiations between Wal-Mart and the city give even more reason as to why this may work in the favor of residents of the District. According to the five page summary of the agreement posted on the corporation’s website, Wal-Mart will seek small and minority-owned District businesses for construction of the chains and create job training programs in the most underemployed parts of the city. In a city with high unemployment, this is terribly essential to the cause. It also helps in advancing Mayor Gray’s campaign platform of uniting the city and increasing jobs for the impoverished – that group includes minorities, veterans, at -risk youth, and most importantly the formerly incarcerated. This means a lot for the local economy and crime in the city. While the people and big business go head to head in Downtown DC, in other parts of the District, these two entities are making real progress. Unlike some other major cities, the District is seeing job growth in the private sector. This deal is an opportunity for job growth for working class Washingtonians, many of whom have roots in the District and want to stay here. Perhaps this is the business model that more corporations should use in their dealings with the common people whom these protest groups have come to represent. On the other side of that coin, this is an even indication of what the “99 percenters” should ask for as they tighten their message and actually try to construct an actual list of demands.